Control Bit Technologies is a software manufacturing company that has specialized in the field of computerized security systems since 1985. Throughout the years the company has gained comprehensive know-how and experience, based on customer demands and technological advances, which have resulted in the manufacture of products at the cutting edge of technology. Control Bit Technologies has made much effort in making its software products very user-friendly at all levels, so that their operation will be intuitive and simple. Creating a new application from scratch and performing day-do-day operations are very easy, even for people who are not familiar with computers. 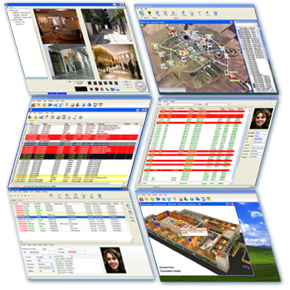 Since Control Bit Technologies security uses the most advanced software tools, meeting the customers’ needs and adapting to various kinds of hardware can be achieved quickly and inexpensively. Our software has been installed in banks, military bases, high-tech facilities, courts and other places, with many years of successful operation, close personal service and support. Our many satisfied customers include the Princeton University campus, the Cape Kennedy Space Center, the U.S Navy Satellite Base, Caracas International Airport, the New York subway and others.